Unit Studies employ fun, creative, hands-on assignments that help your children better retain what they are learning and make learning more FUN for the whole family! You Like Spending Time Together. Unit Studies engage the whole family regardless of age. Younger children learning alongside their older siblings encourages family bonding and strengthens relationships. You Like to Make Life Easier. Every child learning about the same subject matter means less work for you. Why have your third, fourth, fifth or even 10th-grade students studying different time periods when they can all study the same history, and sometimes even science, on their own levels, at the same time? You Like to Save Money. Because the whole family is learning about topics such as birds, the weather, the American Revolution, or the United States Constitution, TOGETHER, fewer textbooks are needed. You Like to Make Wonderful Memories. Our family has so many wonderful memories from having homeschooled…none of which came from textbooks. From hosting a teepee painting party and reenacting a Revolutionary War Battle in full costume to molding a topographical map of the Lewis & Clark Expedition from clay, and baking a brownie pioneer home complete with Playmobile characters. Overflowing kitchen volcanoes, homemade birdfeeders, handmade weather instruments. You name it! Whatever helped our kids truly grasp what they were studying and made learning more fun, we used creative, unit study assignments to accomplish that. Add to that a plethora of field trips, the quality historical fiction we read aloud together, and a multitude of documentaries and historical movies we watched while enjoying a big bowl of popcorn! Oh my! So many WONDERFUL memories. You Want to Build a Precious Homeschool Legacy. Homeschooling is about so much more than “education.” That looks funny at first glance, doesn’t it? But it truly is about so much more. If all we cared about was “educating” our kids we could just as easily send them off to school. But homeschool families, especially Christian homeschool families, are different. We are building a precious, Christ-centered, long-term legacy of love, grace, kindness, patience, goodness, beauty, purity, integrity, patriotism, and relationships. And while you can, of course, teach those same things using a textbook approach, unit studies help you bring the whole family TOGETHER for hands-on learning rather than being off in separate rooms. You Prefer an Eclectic Approach to Homeschooling. Some homeschool families use a full-on unit study approach, but most employ a more eclectic method using textbooks as the spine of their curriculum and “kicking it up a notch” with the more creative assignments unit studies naturally provide. Try a few! FOR FREE! 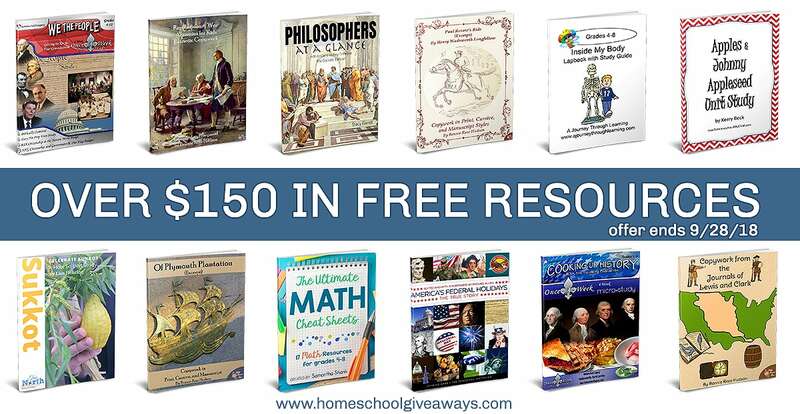 Homeschool Legacy is teaming up with Homeschool Giveaways now through September 28th, 2018 11:59 EST. Included in the September Freebie (a $150+ value) are Homeschool Legacy’s Cooking Up History with the Founding Presidents Micro-Study and We the People: Getting to Know Your Constitution Once-a-Week Unit Study. There is something magical that happens when you dive in deep to a subject. 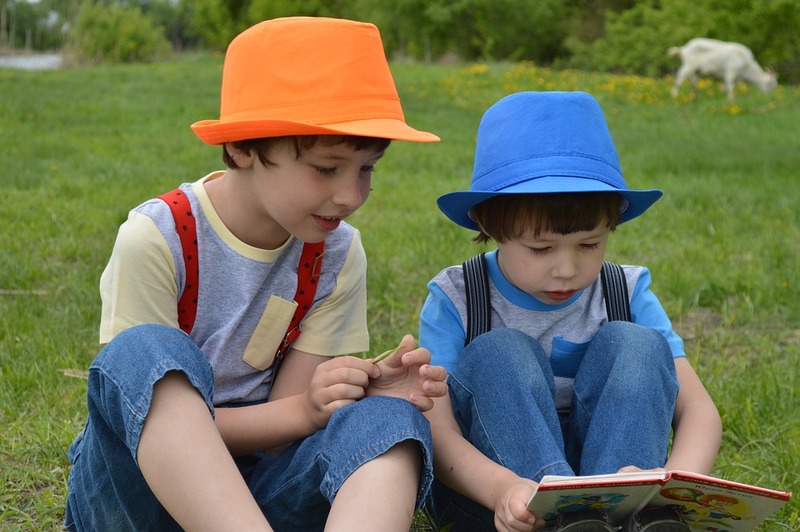 As part of a unit study, the parent, caregiver, or teacher reads a book aloud to their child or children and then facilities a variety of activities and projects based on the book.